Reference: Ignatius Catholic Study Bible, Catechism of the Catholic Church and Father Faber who, using hyperbole, talks about restricting access to Confession so that more people will begin to appreciate the value of this great sacrament. Use Confession to your eternal advantage! 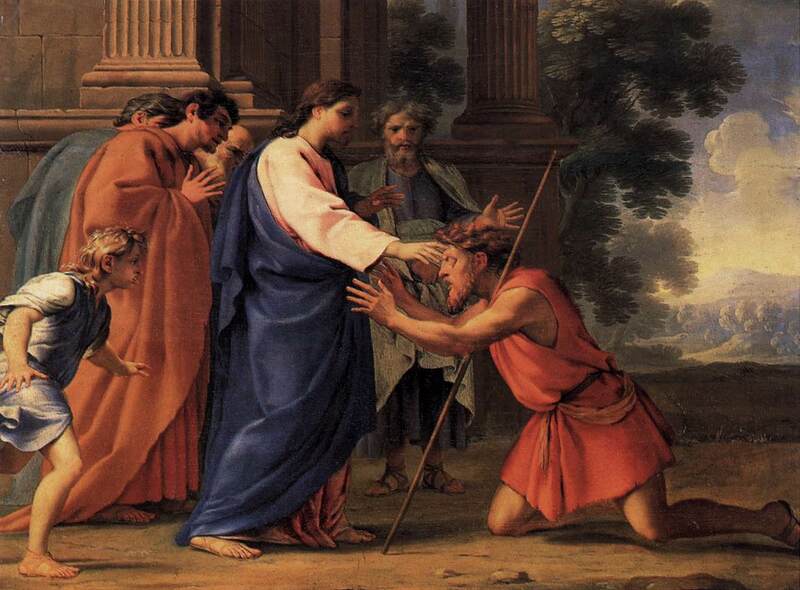 In one of his talks Scott Hahn relates the sacraments as simply “Fort Knox for free.” Image: Christ Healing the Blind Man by Euctache Le Sueur (Public Domain, U.S.A.). ← HAVE YOU ENCOUNTERED THE RISEN CHRIST AND NEWNESS OF LIFE?